Fountain Hills, Arizona to/from Phoenix Sky Harbor International Airport (PHX). Great Flat Rates! More often than not, our town car flat rate fares to and from Fountain Hills and the Phoenix Airport (PHX) are less than taxis charge for the same service. So, why travel in a taxi when you can travel to the airport in style and comfort in any one of our luxury vehicles. >> VIEW OUR RATES. A Luxurious Vehicle Fleet. Whether you are a single executive, traveling couple or a large group, Roadrunner has the right vehicle for you. Depending on the amount of passengers, Roadrunner Limousine’s fleet includes town cars, limousines, SUV’s, passenger vans and even 30+ passenger coaches. All our vehicles are clean, comfortable, private late model luxury vehicles equipped with GPS Navigation systems. 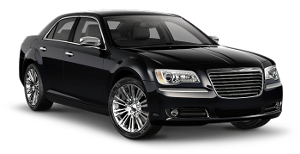 So, why take a bumpy taxi from Fountain Hills to PHX when a luxury vehicle is available at Roadrunner Limousine? Roadrunner Limousine, serving Fountain Hills and Phoenix, Arizona, provides exceptional service for its executive clients. Our executive guests expect reliable, convenient and comfortable transportation to or from Fountain Hills and the Phoenix Sky Harbor International Airport. As important as it is to provide our executive passenger with optimum service, working effectively with their executive assistants and travel coordinators makes everyone’s job easier. For them, we have a state-of-the-art online booking and account monitoring system accompanied by a highly trained staff to help develop and execute the most sophisticated travel plans that any busy executive or corporate group might need. First Time Coming to Fountain Hills, Arizona – Did You Know? The Town of Fountain Hills is a master planned community established in 1970 by McCulloch Properties (now MCO Properties, Inc.). Prior to 1970 the area was a cattle ranch and was part of one of the largest land and cattle holdings in Arizona. The land was purchased by Robert McCulloch in the late 1960s and the community designed by Charles Wood, Jr. (designer of Disneyland in southern California). One of the community’s most valuable assets is its natural beauty. Incredible views and natural desert terrain provide for a wide range of outdoor activities including hiking, biking, boating and golf. In fact, Fountain Hills contains some of the more challenging and picturesque golf courses in the State of Arizona. The centerpiece of Fountain Hills is our beautiful fountain; one of the world’s tallest man-made fountains. It serves as a focal point for the community and attracts thousands of visitors each year. The fountain was built in 1970 by Robert McCulloch the year before reconstruction of the London Bridge in Lake Havasu City, another of McCulloch’s projects. The fountain sprays water for about 15 minutes every hour at the top of the hour. The plume rises from a concrete water lily sculpture in the center of a large man-made lake. The fountain, driven by three 600 horsepower (450kW) turbine pumps, sprays water at a rate of 7,000 gallons per minute though an 18-inch nozzle. With all three pumps and under ideal conditions, the fountain reaches 560 feet (170m) in height, though in normal operation only two of the pumps are used, with a fountain height of around 300 feet (91m). When built, it was the world’s tallest fountain and held that record for over a decade. Fountain Hills is home to nearly 70 pieces of publicly displayed artwork throughout its downtown and at public buildings. Art is a significant part of the Town’s heritage. The eight fountains along the Avenue of the Fountains were the beginning of the public art collection. Bronze sculptureBronze sculptures and fountains with Community Profile themes ranging from the whimsical to the serious dot the streets and adorn the public buildings, plazas and parks. The collection also contains a wide variety of other art types and media, including paintings, stone, photography and metals. Residents and visitors are invited to wander the streets or take the “Art Walk” guided tour. Located on 12,996 acres of land, Fountain Hills is surrounded by the 3,500-foot McDowell Mountains and Scottsdale on the west, the Fort McDowell Yavapai Nation on the east, the Salt River Pima Maricopa Indian Community on the south and the McDowell Mountain Regional Park on the north. The elevation is 1,520 feet at the fountain, 3,000 feet on Golden Eagle Boulevard, and is 500 feet above Phoenix. Over the past seventeen years Fountain Hills has grown from 10,190 residents to a town of 25,995 in 2008. The Maricopa Association of Governments (MAG) estimates that the population of Fountain Hills will continue to grow to a build-out population of between 30,000 and 35,000. Although the rate of growth has slowed due to the lack of available land on which to build, the Town continues to attract residents who are building large custom homes to take advantage of the scenic vistas surrounding our mountain community.